Pictured: Kyo Miller. Photo provided by the Aurora Police Department. 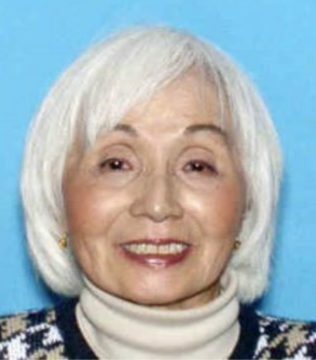 AURORA | Investigators with the Aurora Police Department are asking for the public’s help in locating an 87-year-old woman who went missing nearly two months ago. Police have been searching for Kyo Miller, 87, since friends reported her missing on Dec. 15, according to Aurora Police. Investigators believe Miller was living with her ex-husband, 72-year-old Eldred Miller, and his current wife, 53-year-old Galyna Miller, at home on the 3400 block of South Halifax Way in east Aurora. She was last seen in the area, according to police. People with any information related to Kyo Miller’s potential whereabouts are encouraged to call Aurora detectives at 303-739-6068. Tipsters wishing to remain anonymous can also call the Metro Denver Crime Stoppers at 720-913-7867. The Metro Denver Crime Stoppers offer a reward of up to $2,000 for legitimate information.